Supreme Court warned the Directors General of Police (Prisons) of all states and UTs of contempt notice for non-compliance of its earlier orders with regard to submitting a plan of action to deal with issue of overcrowding prisons. New Delhi: Prisoners "cannot be kept in jail like animals", a shocked Supreme Court said after it was informed that many of the over 1,300 prisons across the country were overcrowded, even to the extent of more than 600 per cent. "What's the point in talking about prison reforms when we cannot keep them in jail. We should release them, if you cannot keep them properly," the top court said, lambasting state governments and union territories (UTs) for "complete lack of commitment" to fix this "extremely unfortunate" situation. A bench of Justices MB Lokur and Deepak Gupta also warned the Directors General of Police (Prisons) of all states and UTs of contempt notice for non-compliance of its earlier orders with regard to submitting a plan of action to deal with issue of overcrowding prisons. "It is unfortunate that the prisons are overcrowded. Prisoners also have human rights and they cannot be kept in jails like animals," it said. The court said it was informed by amicus curiae that there were a large number of jails where "overcrowding is well above 150 per cent and in one case it is as high as 609 per cent." "This is extremely unfortunate and clearly suggests the complete lack of commitment of the State Governments and the Union Territories to the human rights of prisoners and also indicates the failure of the Under Trial Review Committees to take their responsibilities seriously," it said. While some jail inmates have got bail but cannot be released as they cannot furnish sureties, some others were imprisoned for petty offences under which they should have got bail long ago, the top court said. 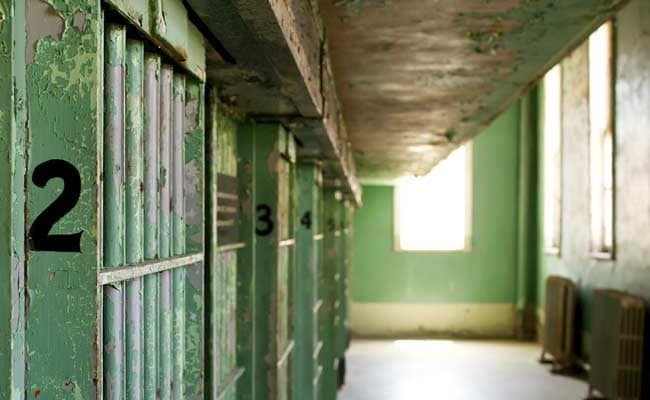 Voicing concern over the "extremely dismal" performance of the Under Trial Review Committees (UTRCs), the bench said this was quite apparent from the fact that "unrestricted overcrowding in jails continues and in some instances, it has escalated". The committee, set up in every district, deliberates and recommends the release of undertrial prisoners and convicts who have undergone their sentences or are entitled to be released from jail on bail or remission granted to them. It directed the states and UTs to give their comments in two weeks on Standard Operating Procedures for the UTRCs, prepared in consultation with National Legal Service Authority (NALSA), so that they can work "effectively and efficiently". If the comments of states and UTAs are not received in two weeks, then it will be assumed that they have nothing to offer and SOPs will be finalised and circulated for compliance. The top court had, through orders of May 6, 2016, and October 3, 2016, directed preparation of a plan of action by states and UTs to deal with the issue of overcrowding in prisons and the proposal was directed to be submitted by March 31, 2017, but not even one of them gave it. "We give a direction to all the state governments and UTs to comply with our orders dated May 6, 2016 and October 3, 2016 within a period of two weeks, failing which we may have to issue notice of contempt against the Director General of Police (Prisons) of the State Governments/UTs, which unfortunate step we would like to avoid. But if the information is not provided within two weeks we will be compelled to issue such notices," it said. The Supreme Court after perusing the status report of NALSA also voiced its concern over vacancies in the prison staff and directed the DGPs (Prisons) to specify "clearly and unequivocally" the steps taken to fill up the vacancies and progress made in two weeks. "The combined sanctioned strength of prisons staff in all the prisons in the country is 77, 230, out of which there are 24, 588 vacancies as on December 31, 2017. Therefore, it is quite clear that there is slightly more than 30 per cent vacancies in the prisons staff," it said. With regard to open jails, the top court was informed that the draft "Administration of Open Jails Act and Rules" will be finalised by April 30, 2018. Semi-open prisons or open prisons allow convicts to work outside the jail premises and earn a livelihood and return in the evening. The concept was brought in to assimilate the convicts with the society and reduce their psychological pressure as they faced lack of confidence in leading normal lives outside. The bench posted the matter for further hearing on May 8. The top court had on February 21 asked the NALSA to look into the issue of overcrowding of prisons and furnish figures before it regarding the population in the jails where occupancy was over 150 per cent as on December 31, last year. The top court is hearing a matter relating to inhuman conditions prevailing in 1,382 prisons across the country. On Delhi's Civic Problems, Supreme Court Says Situation "Irreversible"